Sorry for the delay, we have been running fast and furious preparing for our upcoming trip, braving the weather, and staying busy at work. 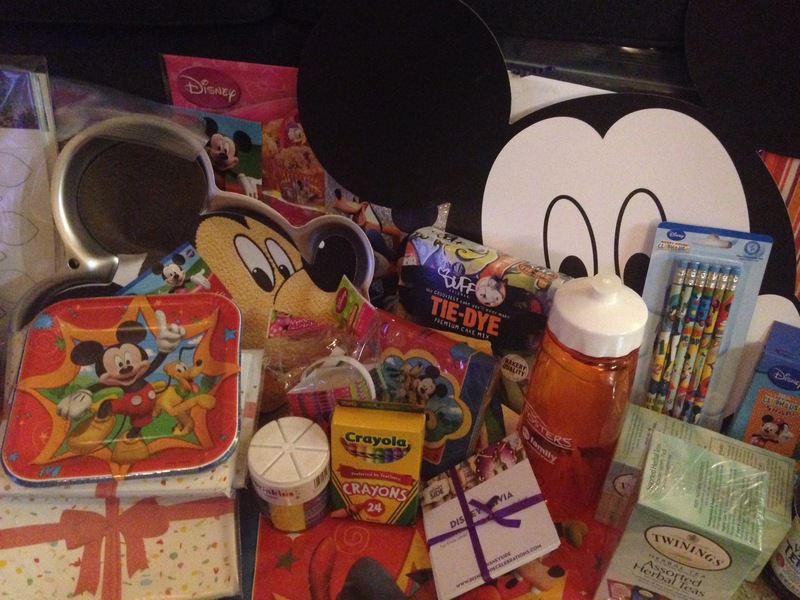 We announced a few weeks ago we were one of the select blogs featured to host a #DisneySide @Home Celebration! This was perfect timing for us especially since we leave for Disney World in 7 days!!! In addition to the amazing package we received we were able to add our own special touches to make some magic of our own! Thank you so much to Disney Parks, BDM Media, Mom Talk Radio, Create Memories You Keep by HP, Soy Vay, All, Snuggle, Wisk, Twinings of London, Wilton, Duff Goldman Cake Mix by Gartner Studios! This was a amazing way to celebrate our #DisneySide!! We used the Mickey and Friends decorations for our generational party. 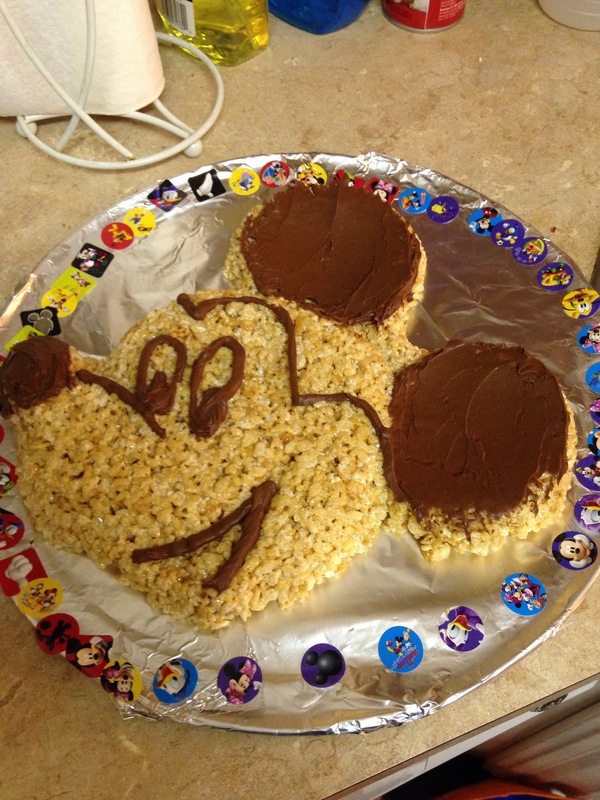 In the amazing Mickey cake pan by Wilton we made a Mickey Mouse Krispie Treat! It turned out great and I am not a baker and usually set things on fire in the kitchen. My guest could not belive I made it!! 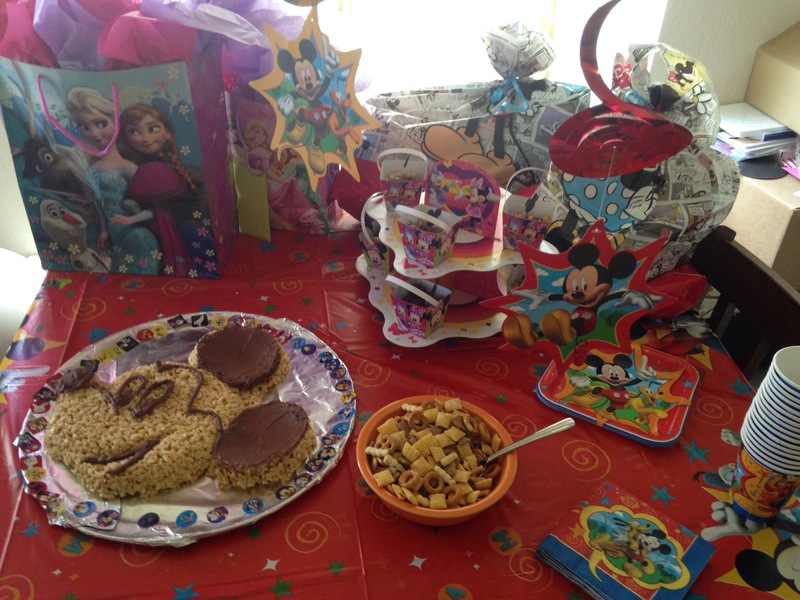 The Mickey decorations were easy to mix and match and the bright colors made the table look amazing! Again, as part of hosting a #Disneyside @HomeCelebration I received free products in order to host a Disney Side @Home Celebration. The opinions expressed here are our own and based on my own experiences. Previous Post To Disney and a Blog!